GlobalTestMarket Review 2018: Global Scam or Legit Surveys? If you have heard about paid surveys, there is a great chance you have also heard about GlobalTestMarket. 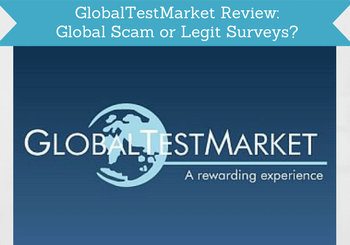 But is GlobalTestMarket a scam or is it a legit survey site where you can make good money? I have used and tested the site for a long time, and in this GlobalTestMarket review (2018 edition), I will tell you all about what the site has to offer, how much money you can expect to earn, who can join the site etc. After the review, you will have all the details you need, to decide whether it is a site you want to spend your time on or not. So let’s get started! Updated 2019: GlobalTestMarket has now closed. What is GlobalTestMarket and what opportunities does the site offer? GlobalTestMarket is a pretty big name in online market research. It was founded in 1999, so it has been around for while. GlobalTestMarket is powered by Lightspeed, which is one of the world’s leading providers of market research. So it is a site that has a solid and reputable platform behind it, and has proved it is legit through many years. So it is definitely a safe site to use – but does that mean it has options worth using? GlobalTestMarket is what I would call a “pure” survey site. This means that it more or less only offers paid surveys as a way to earn. 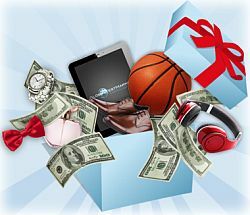 Other sites (called get-paid-to or GPT sites) also offer many other ways to earn. 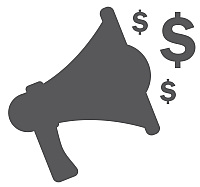 That GlobalTestMarket only offers paid surveys makes it very easy and simple to use, and there is nothing on the page to distract you from doing the paid surveys. So it is very user-friendly, and you do not have to spend time figuring out how to use the site. You just sign up, and then you will receive an email whenever there is a new survey available for you. GlobalTestMarket usually offers several weekly paid surveys (usually between 5-8 in my experience). When you get an email invitation for a survey, it will also say what the reward will be and the topic. It is great to be able to see right away, and it makes it easy to decide whether you want to participate in that survey or not. Topics of surveys can for example be automotive, restaurants, leisure, travels, electronics, food, media etc. Be aware that some (not very many) surveys only give you chances in the GlobalTestMarket lottery. That can of course lead to a big win, if you are very lucky, but if you are only interested in answering surveys, where you can collect points, you can exchange for cash or vouchers, be sure you know what the reward is before you participate. If you click an invitation for a survey, and do not qualify for participating in it, you will still get a reward in form of chances to their own quaterly lottery where you can win up to $1000. So compared to certain other platforms, it is very nice to get a small consolation prize, if you do not qualify. I do however more often than not qualify for GlobalTestMarket surveys, and the qualification percentage is higher than on many other sites, which is nice. Doing surveys on the go is a great way to make a bit of money whenever you have a little extra time during the day. If you want to have access to this, you can download the GlobalTestMarket app, and do the surveys from there. If you just try to open the surveys on your mobile from an email, you will often be told that the format does not fit, so you cannot do the survey. So if you want to use your mobile phone to do GlobalTestMarket surveys, use the app – you can find it by going to your app store (at the moment it is not available on Android) and write “Global Test Market”. This might sound very similar to the app. It is however not quite the same. GlobalTestMarket mobile is a service offered where you will have a sms (text) based survey send to your phone, whenever one is available. It can be a way to make sure not to miss surveys and a way to increase your earnings. You should however only join this service, if you have unlimited texts included in your phone subscription, so you do not have to pay to receive these surveys. Once you join GlobalTestMarket, you will get an invite to this service, and it is completely up to you, if you want to join it or not. You can however at the moment only join the mobile surveys, if you live in the US, Canada or China. If you live in other countries, you can still use the app or the website. When you first login to GlobalTestMarket, you will see there are a number of profile surveys. It is information about you, so you can get invitations to surveys that match you. These profile surveys are about topics like your lifestyle, health, interests etc. This information will not be used to identify you, but to find out which surveys you can participate in. Each of them only takes a few minutes, but there are quite a few, so it will probably take you around 20 to do them all. You do not get a reward for these, but they will help you to get more invitations for paid surveys in the future, so it is a good idea to take these profile surveys and keep them updated. You do not have to take them all at once – you can just do a few once in a while. As all other legit survey sites, it is free to sign up and participate in surveys on GlobalTestMarket. GlobalTestMarket rewards – how do you get paid? Every time you do a survey, you will earn points that can be exchanged into cash on your PayPal account (my personal favourite), vouchers for a number of shops (which shops depends where in the world you live), Amazon Gift Cards, or you can donate your rewards for charity. When you earn points, you will not be able to see them on your account right away, but usually you can see them within 30 minutes. When you can request a reward, depends which reward you want. But in general, you have to have around 1500 points, which is worth around $15, to get a payout. If you have not done any surveys for 12 months, your points will expire, but if you have not done a survey for that long, you might not really care about the points anyway:-). After you have requested a payout to PayPal, it takes around 5 days before you have the money in your account. When you do a survey, you will most often not only get points but also chances to GlobalTestMarket’s own lottery. It is a quaterly lottery, where you can win up to $1000. Some shorter surveys will only give you chances to the lottery, but you will know how many points and chances you will get before you start a survey, as it will be written in the email invitation you receive. You will also receive some chances, if you try to participate in a survey but do not qualify for it. How much money can you make on GlobalTestMarket? On average, the surveys on GlobalTestMarket takes around 15-20 minutes. That is a bit longer than some survey sites, but that is also fine. You can always see the estimated time of a survey before you start it, and then decide if you want to take it. There are also ways to do surveys faster than the estimated time by following a few simple guidelines – I am mostly able to take surveys faster than the estimated time by follwing these guidelines. The rewards per survey are around average in relation to time spent compared to other survey sites. It is important to know that you will not be able to make a full-time income from GlobalTestMarket or any other survey site for that matter. It can give you some nice extra money on the side, but if you are looking for a full time income, you should look for other ways of making money online. Also, GlobalTestMarket only offers surveys as a way to earn, which means there will not be as many daily opportunities as on sites that have a lot of other ways to earn. But it is a great site to join together with other sites, and can then be a part of earning some nice money on the side by taking surveys. 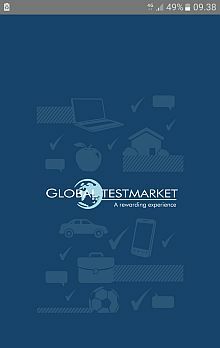 Is GlobalTestMarket available in my country, and can I participate? As the name suggests, GlobalTestMarket is available in many countries throughout the world and in many different languages. More precisely in 49 different countries. There can be a difference in the number of surveys, reward for surveys, lottery prize etc. depending on the country you live in. You can sign up, if you are at least 14 years old. As you can see from the above review, GlobalTestMarket is a decent survey site, and it is definitely not a scam. But to give a better overview, so you can decide whether you would like to join or not, let´s sum up the pros and cons. So overall – Yes, GlobalTestMarket can make you a bit of extra money, but as it only offers surveys, it might take a bit longer than some other survey sites, that also offer other ways to earn. Exactly how many opportunities you will have does however depend on the country you live in. But as it is so easy to use and join, it is definitely worth checking out. How do you sign up for GlobalTestMarket? If you want to give GlobalTestMarket a go, you can click the button below. It will take you to the site, where you can sign up. It only takes a minute. When you have signed up, you will receive a confirmation email with an activation link, you have to click to activate your account. If you have any comments, questions or have any experiences with GlobalTestMarket yourself, I would love to hear from you in a comment below. GlobalTestMarket is a reliable and safe survey site that is available worldwide. It is very user-friendly, but the surveys are a bit long at times. The simplicity and reliability of the site does however still make it a site worth considering, if you want to do paid surveys. Global Test Market is closing complete during this month so no need to join this one now. For Bangladesh, you can instead try ClixSense, Surveytime, and WowApp. I have a problem at the globaltestmarket site. Whenever I try to access surveys, they are asking “please enter your access code”, and sometimes they ask “please enter your account number and the password”. That does sound strange. Do you get the message when trying to take surveys through email invitation? Have you tried to login to your account on the website itself and take the surveys there? I have never received this kind of message when taking surveys on GlobalTestMarket – maybe it is your password for GlobalTestMarket itself it is asking for? If this does not work, I would suggest to contact GTM’s support. Maybe even take a screen shot next time you get this message and send it to them to find out what is going on. And feel free to keep me updated about how it goes – would be great to know. Thank you once again. You are doing a great job. Sounds very strange. Hope they will get back to you soon and resolve it. If you have not already tried it, you can also consider trying to send them a message on their Facebook page. Maybe they will answer faster there, if you do not soon hear back. Appreciate you keeping me updated. Hope it will work out soon. i will surely follow your advice. I am here to inform you that my problems at the globaltestmarket has been resolved finally. I did not receive any reply from them but somehow got it resolved and now it’s been functioning smoothly. Thanks for the update Sam. Great to hear it has been resolved. Maybe the support have fixed it and just did not get back to you. Anyways no matter what, it is great it now works for you, and thanks for letting me know. Hi Sam and Mikael! I just want to share that i am currently experiencing the same issue with Globaltestmarket being asked for access code and password. I’m glad to know that it’s already working for you Sam and I hope it will be fixed for me soon too. Thanks for sharing this Melody – strange. Remember to contact their support and let them know – even though they did not get back to Sam about it, it might have been the message to them that made them fix it. Hope it will work out for you soon, and feel free to keep us updated on how it goes. Já faço parte desse grupo da Global à 3 meses, e não consegui resgatar minhas recompensas ainda, como devo fazer, será possível me ajudar? Would love to answer your questions, but not sure what you are asking, as I do not speak Portuguese. Can you ask in English? The e-certificates will be send by email. So you should be able to get it and use it very quickly. Can you access survey sites in US with VPN? I have actually written a whole article about using VPN for surveys. It is something you have to be careful about. Many survey sites do not allow it and see it as an attempt to cheat, if you try, and you can end up getting blocked. But it depends on the particular survey site. Some sites still allow it, but you have to check in the terms of the individual sites. I have been a member at Global test market for a couple of years and until late December 2017 I had no complaints. It’s a pocket money thing for me having retired a while back. Usually GlobalTestMarket is very good at getting back to people so strange this is happening. I would suggest you to just keep writing them and remind them it is not fixed yet. You can also try to contact the company that owns GlobalTestMarket which is Lightspeed research – on their website you can find offices all over the world and also phone numbers. Hope this helps, and please feel free to keep us updated about how it goes, as I would love to know. From other comments, I see that the reward for every survey is a bit poor (like 2$ for every 20 minutes, isn’t it?). If you only want to join a couple of survey sites, I would suggest to check out my top 10 list and join some of the ones on the top, as GlobalTestMarket does in general not give huge rewards. But the rewards can be different in different countries so can be worth giving it a try. GTM can be nice to sign up for as an extra site, as you will not receive that many emails with surveys, so you can just do them once in a while. But it will not be every day. To get chances to make a little extra money every day, you need to join of the before mentioned sites instead. At GTM there is no increase in the amount of money you earn for each survey because you take more. It will be up to the specific survey and the lenght of it. Thanks for all the great info on Global Test Market. Your review was really good, with lots of good information, because I have tried other survey websites in the past and I have wasted alot of valuable time not knowing what type of site that I was getting into. Great review! Thanks for your feedback Mike. I appreciate it. I can certainly understand why people choose to do online surveys because it is such a simple (and often times legit) way to earn online. What I can’t understand is how they are able to sit through these things hour after hour – it would drive me nuts with boredom! Yes I agree that it is a very simple way to make some extra money. Does not take any training or any investment. GlobalTestMarket is definitely one of the bigger sites. As you can read, it is however still not my absolute top choice, but it is a very stable and trustworthy site, so can be a good option. Hi Mikael, when you mentioned that the rewards are not very high in relation to the time spent, how much dollar/cents are you talking about? I am not a big fan of survey sites, but I am starting to see a few ‘legitimate’ ones being recommended and thought of giving them a try. Another one is called Panel Place. Do you have experience with that? Thanks. It is difficult to say how many dollars it is, as it is different from survey to survey, and also depends on the country you live in. But where I live (Scandinavia), GlobalTestMarket does in general not have very high rewards compared to other survey sites. Very often it will be less than two dollars for around 20 minutes. But as mentioned, there are also surveys that pay quite a bit more, and it can also be a lot more in other countries. So it might be worth checking out GlobalTestMarket in your country as it is a trustworthy and easy to use page. You will find out after a couple of surveys how the rewards are in relation to time in your country and can then decide to stop or continue. And please feel free to get back to me and let me now how it is in your country, if you decide to join. Yes there are definitely some legitimate survey sites now. Unfortunately still a lot that are not very good and a waste of time. And even some that are direct scams, where they try to get money from you, so still a good idea to be aware when signing up. You can see some of the legit sites in my top 10 list. I registered on this site, man it does ask a lot of question for my profile. It did take like 25 minutes to complete all. It is good that I got by your page, so I registered and maybe I will get money out of it. What would have interest me, that you from where you are how often do you get a survey. Like do you need 6months to get out 15$? Yes the profile survey takes a bit of time. But the good thing is that once it is done, it will mean you will more often get invitations to participate in surveys. On average I receive about 4-5 survey invitations a week from where I live (Scandinavia). How quickly you can make enough to get a payout depends how many of them you decide to participate in. But you should definitely not need to spend 6 months. At most a couple of months if you do surveys on a regular basis. But as I also mention that is quite a bit slower than some other survey site, and the only criticism I have of GlobalTestMarket (it might also be a lot faster where you live and with the rewards the site gives in your country). It can be a nice site to take surveys on, but if you only want to do surveys on 1-2 sites, there are others that are a lot faster to make money on. You can check out my Top 10 list in the website menu to see some of these.